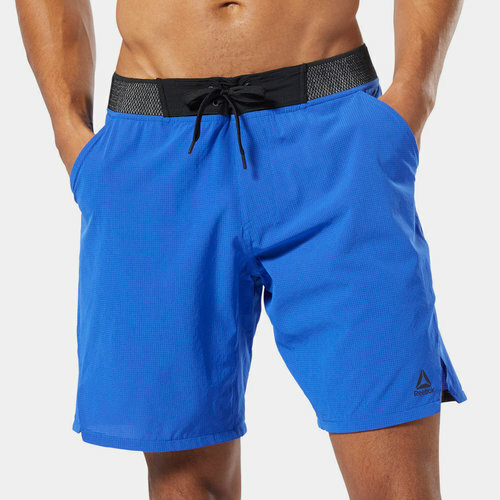 Stay comfortable during the all-important training sessions by pulling on the Reebok OST Epic Knit Waistband Shorts which come in Crushed Cobalt. These men's training shorts take care of comfort and fit leaving the wearer to focus on the task at hand whether that be weightlifting, cross fit, cardio or road running. The knitted waistband improves the fit which keeps the shorts secure and in place in order to keep to the wearer comfortable.